For such large, athletic animals domestic horses are surprisingly fragile, due to the artificial environment man puts them in. Wild horses are sturdy, hardy animals—smart, wily and able to take care of themselves. They graze all day, move constantly and only the healthiest survive and reproduce. They are also relatively small, not particularly pretty and very strong-willed. Consequently, when man decided horses were good for more than providing meat and milk, he began breeding them for specific traits. Good temperament, large size, speed and beauty were some of the prized characteristics. Over the millennia horses morphed into creatures that often would have a hard time surviving in the wild and even have problems surviving in man’s care. 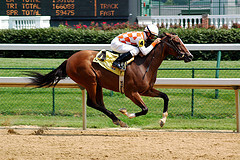 The desire to win races has resulted in many Thoroughbreds being very fast but having weak feet and overly sensitive emotions. 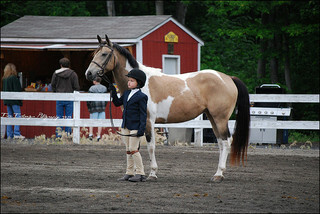 Show ring “fashions” have encouraged huge bodies with slim, tiny legs and feet that cannot stay sound for the long run. And, of course, miniature horses, as cute as they are, would be hard pressed to survive on their own. Add to that, being confined twenty-three hours a day in a small stall, being fed large amounts of hay, instead of eating grass, and being asked to do intense work instead of moving casually, and today’s horses develop problems that they wouldn’t encounter in the wild. One of the most common and deadly problems is a result of how they are kept and fed. 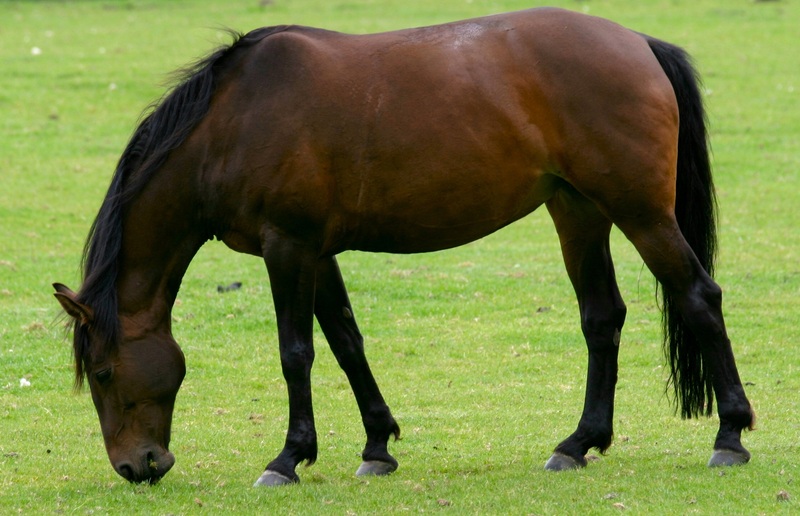 The horse’s stomach is designed to digest small portions of food all day long. While some horses are kept in large pastures where they can graze naturally, this kind of open land is disappearing and most horses, by necessity, live in confined areas, either stalls or paddocks. Then they are fed calorie-dense hay and often grain too, usually twice a day because that fits best with human schedules. As a result their digestive systems can be easily upset and they can colic. Colic is basically a painful bellyache that can be relatively easy to treat or can develop into something deadly. It is the most common cause of death in horses. Bad food, dirty water, parasites, lack of exercise, a sudden change in the weather are some of the many things that can provoke a colic attack. In most cases, the problem can be solved by a visit from the vet. Sometimes surgery is required (a very expensive proposition) and other times the only thing to do is to put the suffering animal down. 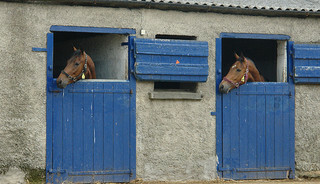 Good management is vital to keeping horses healthy and happy. Another illness connected to food and care is known as laminitis, a very painful condition that affects the hooves. 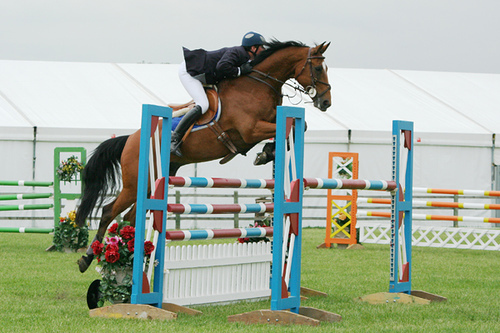 The equine digestive system cannot handle large amounts of concentrated, high-carb food. If a horse should get loose and into the grain barrel or pig out on high-sugar Spring grass, this can trigger an inflammatory response which destroys the tissues in its hooves that hold the boney structures in place. Depending on the extent of the damage, the result can be devastating. Conditions such as Cushings Disease or Metabolic Syndrome can make horses susceptible to laminitis problems too. As odd as it might seem, horses have many of the same problems that humans do. They can have allergies, COPD, arthritis, thyroid dysfunctions, bursitis and a host of other disorders. And they are treated with many of the same medicines. I used to give my daughter’s mare powdered Synthroid for her low thyroid and albuterol for her breathing problems. Horses with stomach ulcers often get Tagamet. Of course, wild horses are unlikely to have ulcers or allergies or a lot of the other problems. These tend to be the result of living with man and doing the work he asks of them. So it behooves us to be aware of the consequences and do our best to take good care of our equine friends. Today, because of advances in understanding and veterinary care, horses are living and working into their thirties. Something very rare in previous times. 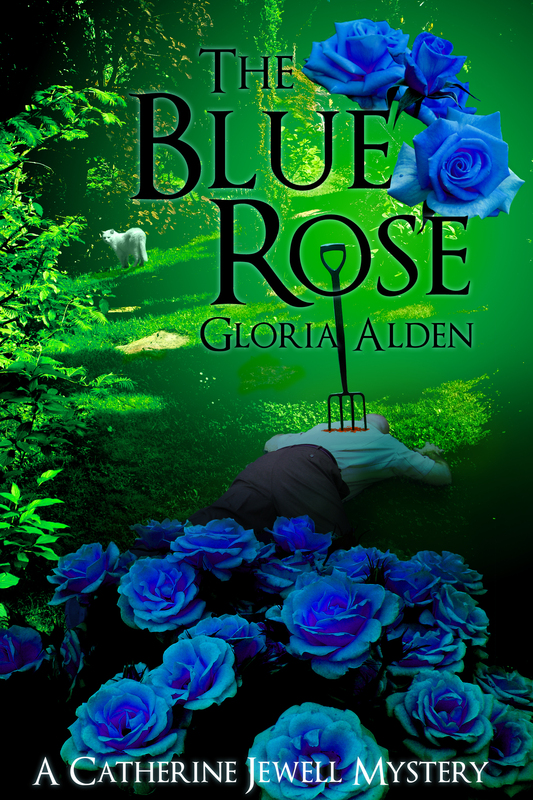 Today I’d like to welcome Gloria Alden author of the Catherine Jewell mystery novels The Blue Rose and Daylilies for Emily’s Garden. Gloria is a former third grade teacher who is spending her retirement writing short stories and novels. 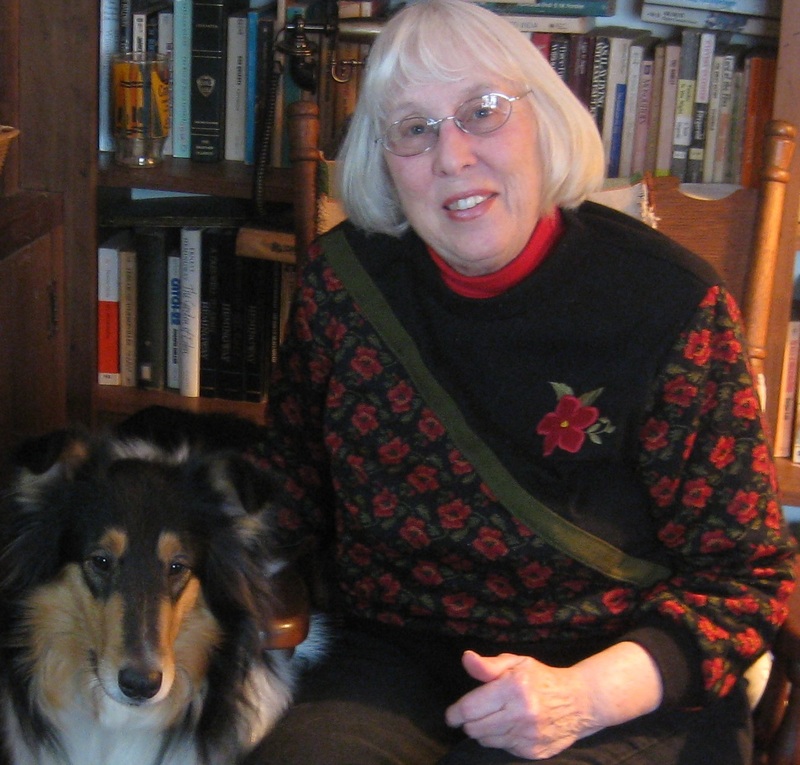 Her published short stories include “Cheating on Your Wife Can Get You Killed,” winner of the 2011 Love is Murder contest; “Mincemeat is for Murder” which appeared in the Bethlehem Writers Roundtable, “The Professor’s Books” in the FISH TALES Anthology; and “The Lure of the Rainbow” in FISH NETS, the newest Guppy Anthology. Her latest novel Ladies of the Garden Club will be coming out soon. When I was a young girl, I galloped everywhere hitting my thigh to go faster on my imaginary horse. I galloped through fields and woods leaping logs, galloped across the road to my cousin’s house or to my grandparents farm and sometimes further down the road to another cousin’s house. Sometimes I rode Wildfire, and sometimes it was Thunderhead or Flicka or another horse in my stable of horses. I dreamed of someday having a ranch in the west with hundreds of horses. I think my love of horses came from the story my dad told of a pony he rode one summer in the mining town in Pennsylvania where he grew up. My grandfather was foreman of the mining stable. The superintendent of the mine bought a beautiful black pony for his son, and it was kept in the mining stable. The pony tossed the boy the first time he tried to ride it so the superintendent asked my father, about the same age as his son, to ride and gentle it. All summer my father rode that pony, but the superintendent’s son never got over his fear of it so the pony was eventually sold. During my galloping period, I read every horse book in my small rural library numerous times, and at Christmas I usually got a horse book, too. I dreamed of horses and drew pictures of horses, but I was thirty-eight years old before I finally got my first horse. My husband heard of a horse for sale and took me to see it. 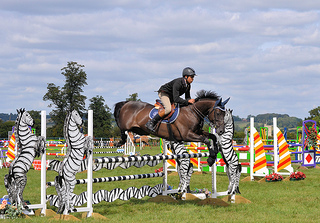 Of course, I fell in love with that strawberry roan paint. I thought he was beautiful. A few days later he was delivered. We had no barn, no saddle or bridle or even a lead rope. We did have hay, grain and a water bucket. We put him in a shed and a few days later my husband and young teenage sons started building a barn – a large barn with five stalls. A week after my horse arrived, I now had a saddle and bridle. I was ready for my first ride on my very own horse. Now, mind you, my riding had been very limited over the years. Mostly it was while we were on vacation and found a riding stable where you paid for an hour ride with a group on trails following a guide. Seldom did we move out of a walk, but maybe we’d trot a little and once in a great while gallop for a few minutes. Neither my husband nor I had ever saddled a horse, but we’d watched while these trail horses were saddled so we knew how to do it. Or so we thought. As soon as the horse was saddled, I mounted and headed down a trail into the woods beside our home. He was a high stepper and both of us were eager to be out and on the trail. I was euphoric. His ears were perked forward interested and curious as we went along. And then I turned him around to head back. Maybe I should have thought twice about buying a horse named Rebel because as soon as we were heading back, he took the bit in his mouth, and I couldn’t slow him down. He was heading home, and just where that home was in his mind, I didn’t know. It was then I felt the saddle slip. 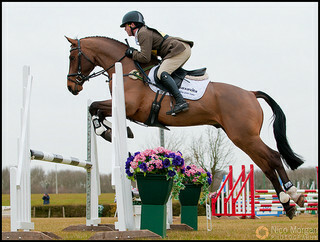 I learned from that experience, you always tighten the girth, wait a bit for the horse to relax and then tighten it more. Anyway the saddle slipped and ended up under Rebel. Fortunately, I was able to kick my feet free from the stirrups and landed on the ground still holding onto his reins so he didn’t end up in some other county. He jumped about trying to get rid of that thing, but fortunately, I was able to unbuckle the saddle and not get kicked or stepped on. So at the end of my first ride on my very own horse, I walked home with a saddle on my back now leading a docile horse. It wasn’t exactly the way I had envisioned that first ride. Eventually, Rebel was sold. He was a rebel. Over the years there were other horses and ponies. Once we had five at one time, one we boarded for a friend. My four kids joined 4H, and I became proficient at saddling and caring for horses. I learned to pull a horse trailer to take them to shows and for riding lessons and even took riding lessons, too. Then there came a day when I had to move. I had to sell my last two horses because I didn’t have the money to put new fencing around the pasture of the small farm I bought. The house needed too many repairs and the barn needed a new roof. But my love of horses never went away. However, I down sized the dream. 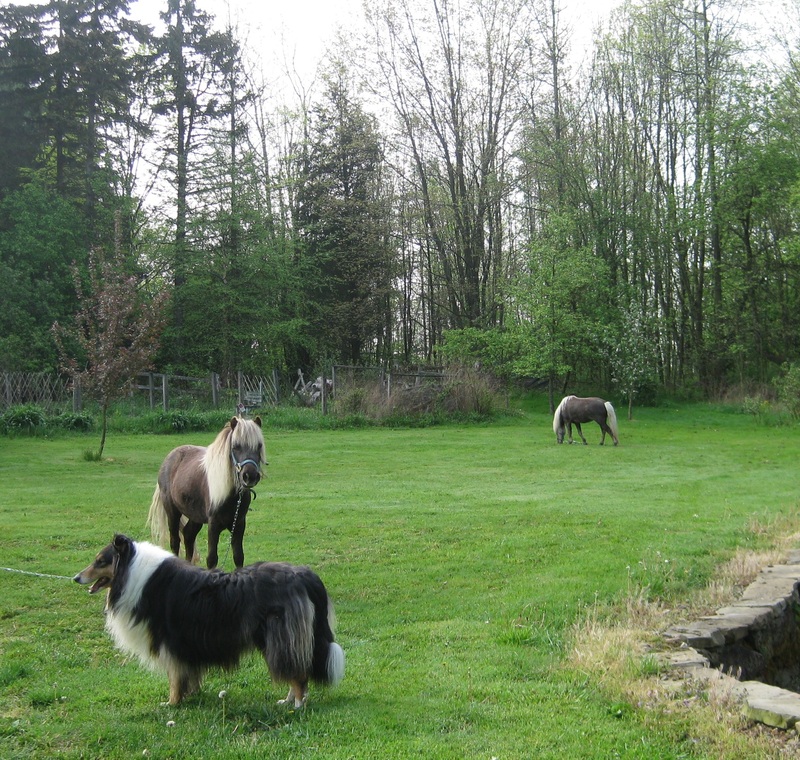 Now I have two totally useless small ponies – sisters – that I rationalize keeping as being compost makers for my gardens, but it’s really because I love them. What dream did you have when you were young? Did it ever come true? In The Blue Rose Catherine Jewell enjoys the small quiet town she’s recently moved to where she’s a botanist at Elmwood Gardens and also has a small garden center, Roses in Thyme. At least she does until she discovers a body with a garden fork in his back at Elmwood Gardens. John MacDougal, the police chief of Portage Falls, has never had to deal with a murder in his ten years as police chief. As he questions the suspects, many who are Catherine’s co-workers and friends, she works to divert his suspicions elsewhere since she’s sure none of them could be the murderer. When another body is discovered, they start working together, and in spite of their inexperience and several close calls with death, they solve the murders and restore calm to the little town of Portage Falls. 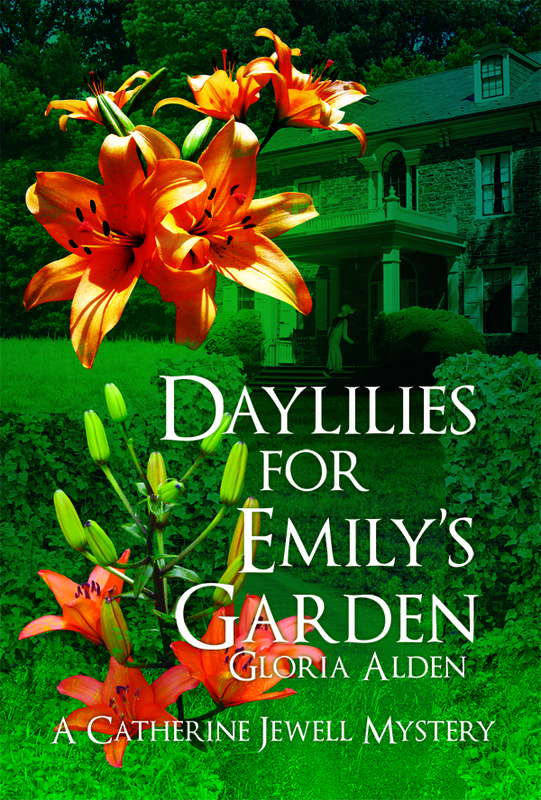 In Daylilies for Emily’s Garden Catherine Jewell is excited about restoring the gardens at the estate of the reclusive Emily Llewellyn. Everything for this project is arranged through Charles McKee, her secretary and companion. Catherine’s curiosity of this eccentric recluse is piqued when her only contact with Emily is through brief glimpses of her through a window before she quickly disappears. 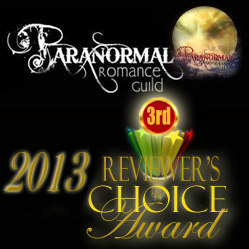 Catherine’s excitement dims a little when she discovers a dead body. Meanwhile other unsettling events are going on in Portage Falls. A bypass coming closer to town threatens wet lands and the residents are divided on the next phase of the construction. When environmental activist Bruce Twohill comes to save the wetlands some consider him a savior while others like Police Chief John MacDougal are suspicious of this stranger. Another dead body is discovered and the buzz around town thinks it’s connected with the first body. Returning characters from The Blue Rose plus new and interesting or quirky characters add color to the small town of Portage Falls in this second book in The Catherine Jewell Mystery Series.